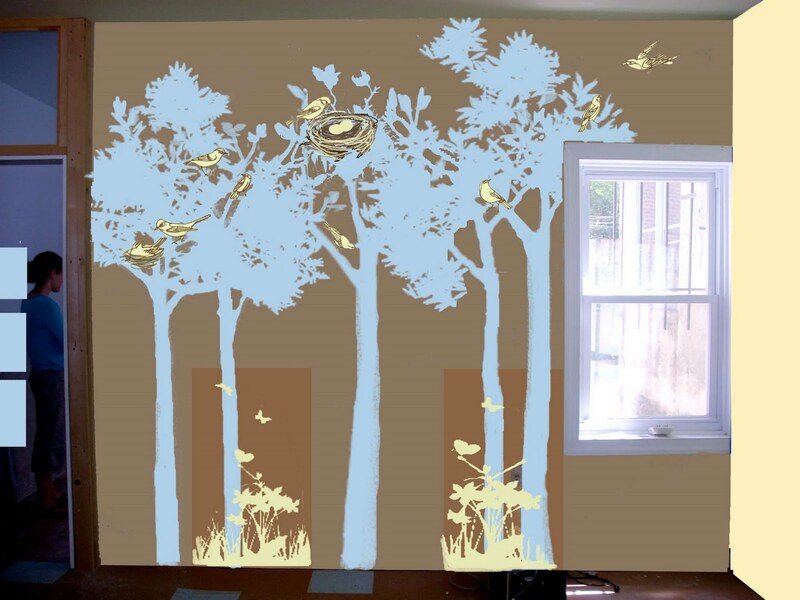 We are starting a new mural at the Nesting House in Mount Airy, PA. We start painting this weekend ...more pictures to be posted then. Until then enjoy our rendering - we'll see how things change as it goes on the wall. The Nesting House is a wonderful new space started by Jen Kinka and Meredith Jacoby, two local moms. The store will carry cloth diapers, kids clothes, baby gear, and toys(both new and gently used), and handmade items (I'll be making a few bird mobiles for them).